Welcome to NW Cars. If you are interested in finding a competitively priced and friendly Minicab in Harlesden, you’ve arrived at the correct place. At NW Cars we believe that every customer should get an enjoyable experience when travelling with us. We pride ourselves on the quality of our service, if for any reason at all you are unhappy with our service, the NW Cars team are available 24 hours a day, 7 days a week and we will do our utmost to make sure any bad experience is never repeated and you are compensated. At NW Cars we believe in constantly improving our services, our customers feedback is very important to us and we are happy to take all your comments and suggestions on board, allowing us improve on the next journey you or any other person may take. Here at NW Cars we get asked a lots of questions, the most popular being “are you fully insured and licensed?” and the answer is always YES!!! All drivers that work with us are fully licenced, insured, knowledgeable and friendly. Our vehicles are regularly inspected and undergo a full M.O.T every six months making sure that all passengers that travel with us have a safe and comfortable journey. 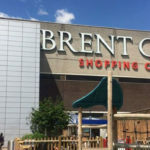 We understand trying to find a Minicab in Harlesden can be extremely difficult, especially when all you want to do is visit the local shops on a rainy day, a friend’s house or just to get to work. That’s why we have invested in our simple and user friendly IPhone and Android customer booking applications as well as our online web booking system, allowing you to book your Harlesden Minicab at the click of a button. Our mobile applications allow our customers to see the location of all vehicle’s close to the vicinity of their location and give a real-time estimate on how long it will take our driver to collect you. Our prices are regularly checked against our competitors and we will always be the cheapest Minicab Company in Harlesden, without comprise on the quality of our service. We are always on time, and include a free waiting period for passengers running late. Our drivers are knowledgeable, courteous and always smartly attired. Our vehicles are always modern, fully insured, clean and tidy. Many of our repeat passengers choose NW Cars when traveling from A to B because we are known for our dedicated drivers and dispatch team, we are known for being reliable and responsible and always put our passenger’s safety first. 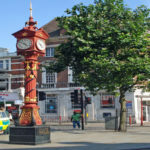 Harlesden is located within the London Borough of Brent located northwest of Central London and home to the focal point the Jubilee Clock which was erected to commemorate Queen Victoria’s golden jubilee. 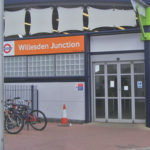 Harlesden in the 19th century was then just a rural village and began to change and develop part of its rural appearance at the time when the railways and stations of Willesden Junction, Kensal Green and Harlesden where first constructed. The development of the railway stations had an effect on the village of Harlesden as cottages for both the industrial workforce and railway workers were built alongside much grander houses for the local middle class citizen’s. NW Cars is contactable throughout the day 7 days a week. Whether you are going for a night out or a night in with friends you can always count on NW Cars to get you where you need to be. NW cars is everyone’s no.1 choice when it comes to choosing a reliable and clean Minicab Service in Harlesden. When traveling in our vehicles we try to make sure you are as comfortable as possible. So when it comes to choosing a minicab service that’s friendly and dependable choose NW Cars. Phone us today on +44 (0)208 452 3344 or book via our new and improved online booking portal or if you’re on your smart phone our new IPhone and Android apps which are now available to download.